The multi-level marketing scheme, Your Travel Biz.com, which is now being sued by the California Attorney General as a “gigantic pyramid scheme,” won membership in the Direct Selling Association in 2007. DSA is the lobbying and trade group for multi-level marketing. It advertises its membership list like a Good Housekeeping Seal of Approval for MLMs. So, did the DSA not see what the California Attorney General views as a “ripoff, scam and pyramid scheme”? Or does the DSA have a different view of what fraud is? In fact, the DSA is the nation’s main defender of business practices that the California law defines as fraud. — The largest MLM ever prosecuted and successfully shut down as a pyramid scheme by the Federal Trade Commission, Equinox International, was also a DSA member. — One of the experts who testified on behalf of Equinox, defending the company against the FTC charges that it was a pyramid scheme, had been a member of the Direct Selling Association Education Foundation. — The infamous MLM scam, Trek Alliance, was a DSA member. — In the landmark legal case against the MLM, Omnitrition, which is regularly referenced for determining when an MLM operates as a pyramid fraud, the DSA defended Omnitrition with an “friend of the court” brief. DSA is in an all-out campaign to legalize business models and practices which the California statute and laws in other states and countries define as fraudulent pyramid schemes. For DSA members, this is not just about lobbying for favors. It is a fight for their very existence. Only the tobacco industry has as much at stake in lobbying to change laws or prevent laws from being enforced as multi-level marketing. If the FTC applied the same criteria to DSA members that it has in previous prosecutions such as Equinox, the MLM industry would topple like a house of cards. If California enforced its Penal Code 327 against other DSA members as it is now doing against DSA member YTB, few would survive. If England applied the same standards to other DSA members that it is now applying to Amway, few could operate in that country. Amway, DSA’s largest member, is being prosecuted in England as a pyramid fraud, based on criteria that mirror California’s definition of MLM fraud. DSA has written its own version of a state law that legalizes the very practices that YTB is being prosecuted for in the state of California. It has managed to get its own law passed in nearly a dozen states. This is achieved with professional lobbying, campaign contributions, and the presentation of a “wolf in sheep’s clothing” statute. The DSA bill, which actually guts law enforcement against MLM scams, is called an “anti-pyramid scheme law.” Other states have resisted the DSA ruse. According to the wording of the DSA-lobbied bill, schemes that gain all their revenue from distributors, without any retailing – and each distributor’s profit depends on the enrollment of more and more distributors – would be exempt from the definition of a pyramid scheme. If this law were adopted in California, YTB would be legal there. — In 2003, DSA sought to get a federal law passed that is the mirror of its state statute. Known as HR 1220, this bill would pre-empt state law, override federal court decisions and negate FTC policies. It would re-define fraudulent MLMs as “legal.” The federal bill has so far never gotten out of committee. — One of the DSA bill’s co-sponsors was Congresswoman, Sue Myrick (9th Congressional District, NC) who had been a featured speaker at Amway meetings. Her first candidacy for Congress was largely underwritten by Amway Kingpin, Dexter Yager. — In 2008, the DSA succeeded in getting this MLM-friendly FTC to exempt MLM companies from a proposed new FTC rule that would have required MLMs to disclose more financial information to recruits and give recruits more time to decide whether to invest. The change that the DSA gained in the proposed FTC rule means that YTB will not be covered because it is an MLM. To back up its lobbying, DSA now makes the case that 99% consumer losses in MLMs are not evidence of fraud, unfairness or deception. 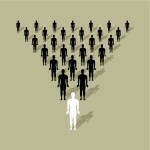 Rather, it argues, most MLM participants only join to buy products, not to earn money. So, those that do lose money, don’t mind their losses. — YTB’s Commission Payout Data are in the Report on MLM Income, along with 10 other MLMs, all DSA members. Consumer loss rates are 99% in all of them. — See an Analysis of DSA’s “Wolf in Sheep’s Clothing” law that would legalize endless chain schemes as long as money is laundered through a product or service. — Discussion of the DSA’s new claim that very few people ever join MLMs to earn money. Rather they only want to buy MLM products at a discount or maybe to earn just a little extra money for Christmas. (No explanation for why 50-80% quit the schemes within a year, stop buying the products, and never buy the products ever again or how they get Christmas money when 99% never earn a profit!